Built upon the site of an authentic colonial rice plantation, Caledonia Golf & Fish Club has captured world-wide recognition for its breathtaking aesthetic beauty as well as its exceptional design. Careful to preserve the natural surrounding, including hundreds of centuries old live oaks, architect Mike Strantz has risen to the top of the most wanted designer list with this, his first solo design. 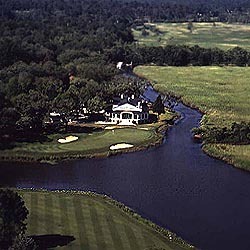 No other course in America gained so much recognition in 1995. Some have even stated that Caledonia may just be the best new course to be built in America in the past 20 years.